Homemade face masks for blackheads can be every bit as good as store bought versions and below, you will find four simple recipes. Skin blemishes like blackheads cause problems for both men and women of all ages and although they are more likely on oily skin and can be more common in teenagers and young adults, just about everyone will get them at some time in their lives. Finding methods for blackhead removal that work effectively is often tricky and expensive but these homemade remedies will definitely not break the bank! Don’t forget to check out the extra video recipe at the foot of the page! Oatmeal and Honey Mask for Oily Skin -This mask works best for people with oily skin. Mix 4 parts oatmeal with water and cook till slightly raw. 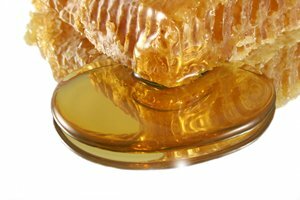 Set it down to cool and add three parts of honey and let the mixture come to room temperature. Apply the mixture in a thin, evenly-distributed layer on the face. Leave it on for as long as it takes to dry. Then gently wash off by splashing water on your face and removing the mask by moving your fingers in small circular motion. The oatmeal in this treatment makes this one of my favourite homemade face masks for blackheads, it will not only exfoliate but will also provide oil-control for excessively oily skin. 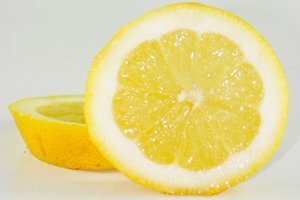 Lemon Juice Rinse -Lemon juice has excellent ‘uprooting’ properties for blackheads. It penetrated into the pores and helps weaken the roots of blackheads. Mix one part of lemon juice with 4-5 parts of water. Use this mixture to rinse your face. Follow up by rinsing with clean water. Don’t leave it on for too long because the citric acid content of lemon can harm your skin. Also, be extremely wary of getting the mixture in your eyes. 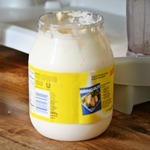 Mayonnaise and Egg White Mask– Separate an egg white and mix 1 tsp of it with 2 tsp of mayonnaise. Apply the mask over your face and let it stand till the mask begins to cake. This should ideally take 15 minutes. Rinse with clean water. This mask can be particularly smelly. Follow up by rubbing a slice of lemon on the areas where the mask was applied. This will take care of the smell. Raw Milk and Salt Mask– One of the easiest to prepare homemade face masks for blackheads is the milk and salt mask. Mix half cup (about 100 ml) of raw un-boiled milk with one spoon of salt and rub it over your face. The mask will form a very thin layer. Let it stand for half an hour. Then remove by rinsing well with tepid water. If you would like some more ideas for homemade face mask for blackheads, take a look at this page on yahoo answers. Remember though that even homemade remedies can irritate your skin so remember to choose a mask which suits your skin type best and if you are in any doubt or experience irritation, discontinue use and consult your beautician or dermatologist. It is not just blemishes your face that can be easily treated with these homemade treatment masks for blackheads, if you enlist the help of a friend or partner, the oatmeal and honey mask is great for treating these blemishes on your back – you can just jump in the shower afterwards to rinse it away.